It's Halloween, YAY! We are taking Ella trick or treating around our block and I can't wait! Did you hear that? I said around our block! How exciting is it to live in an actual neighborhood?!? Afterwards we are going to a local Halloween event in town with friends, and chances are good that this MaMa and Dada will be ending the night at World of Beer. Yippeeeee, can't wait to get home from work and get my girl dressed up in her costume! Have a Happy and Safe Halloween Friends!!! Have fun trick or treating!! 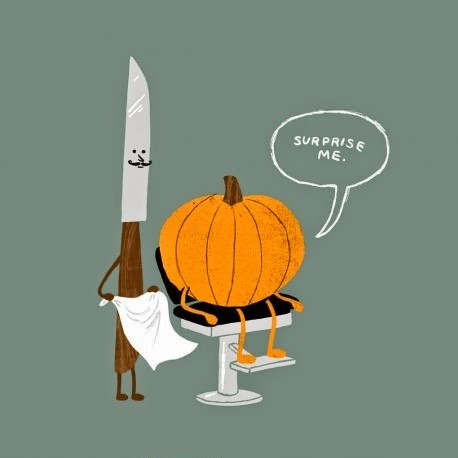 I love that pumpkin at the barber pin! !